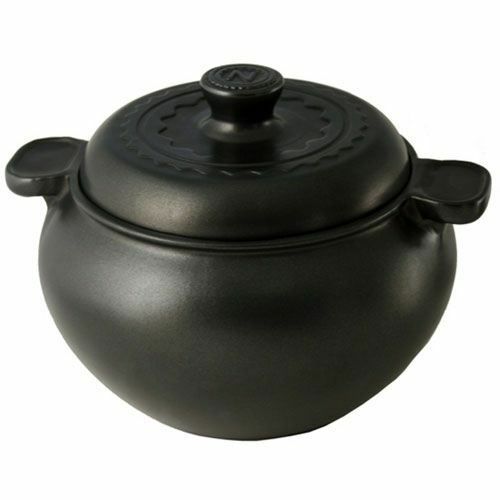 The Nigella Lawson Large Casserole Dish features matt black finish and Nigella's logo on the lid making it look beautiful so in between use it can be kept out on the surface. The dish has two handles and the lid has one handle on the top. All Flameware items are completely non-stick. Versatile and practical, Nigella Lawson's Flameware products are manufactured from a unique ceramic material that can be used on direct heat, in the oven, the microwave, the freezer, and of course on the table for serving. Lighter than traditional stoneware, Flameware is designed to retain heat so when handling please use oven gloves. 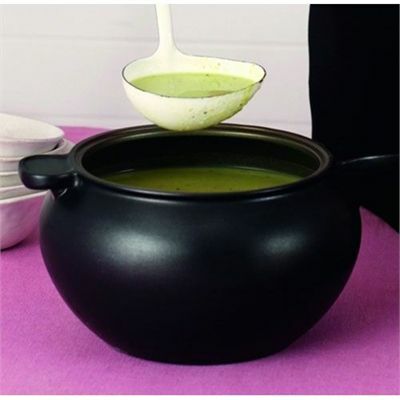 In addition, flameware also has special energy saving properties as when the food in the cookware has reached the required temperature the heat can be reduced as it will maintain the same temperature with less energy. for submitting product review about Nigella Lawson Large Casserole Dish.